Forget Obamacare, gay NFL players, and SB 1062 in Arizona. We have a new controversy that demands action; What is the better way to pronounce apricot? It was brought to my attention that some people use “ap-ri-kot” with “App,” as in “wow, what a cool, new, time-sucking iPhone App.” The other camp in this ground breaking case prefers to say “ey-pri-kot” with “Ayyy,” as in “Ayyyyy B C D E what the F am I singing the alphabet for?” So what about you America? 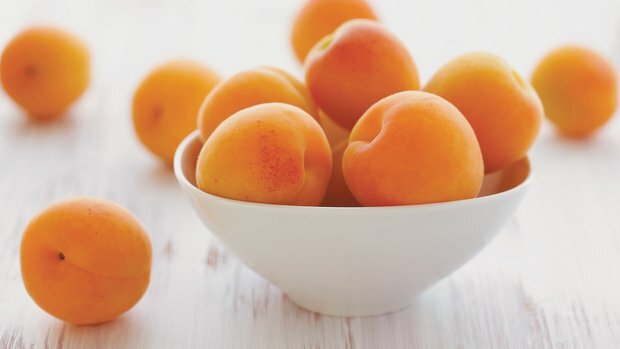 What apricot pronunciation reigns supreme? Photo credit not to me. I don’t take well lit shots of bowls of fruit on white washed wooden tables. It’s just not something I am ever going to do.